Mason Adams is a Texas born bassoon player, currently completing his Masters of Music Degree at the Mannes School of Music in New York City where his primary teacher is Marc Goldberg. Mason has previously finished his Bachelors of Music Degree at The Hartt School in Connecticut where he also studied with Marc Goldberg. While at The Hartt School, Mason was a finalist in the Paranov Concerto Competition as well as a quarter-finalist of the 2016 Fischoff Chamber Music Competition, with the OptiKord Trio, where he traveled to compete against the top chamber music groups in the country. 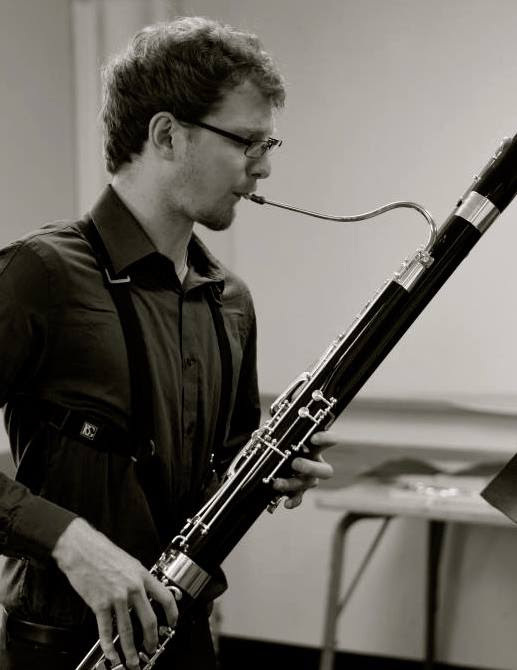 Mason has also been the principal bassoon player of the Hartford Independent Chamber Orchestra since 2015 where he has worked closely with local up and coming composers to spread new musical ideas and experiences to the public. In 2016 Mason went on tour with the Boston Philharmonic Youth Orchestra, performing across three different countries in many of the worlds most renowned concert halls. Recently, Mason has given a second world premiere of Vijay Iyer's Radhe Radhe: The Rites of Holi where he worked closely with conductor David Fulmer, as well as Mr. Iyer himself.